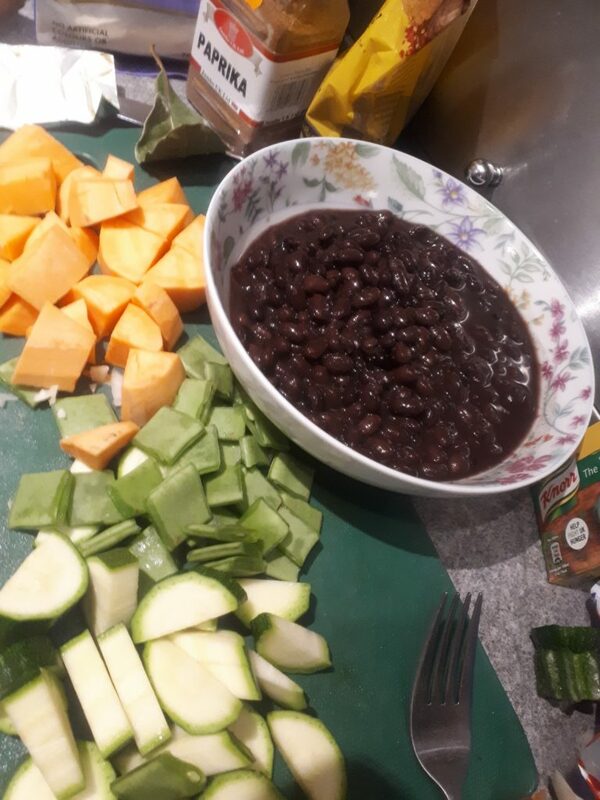 I’ve developed a vegan feijoada recipe that tastes amazing, and makes me question why I ever ate meat. Feijoada has been one of my favourite meals. 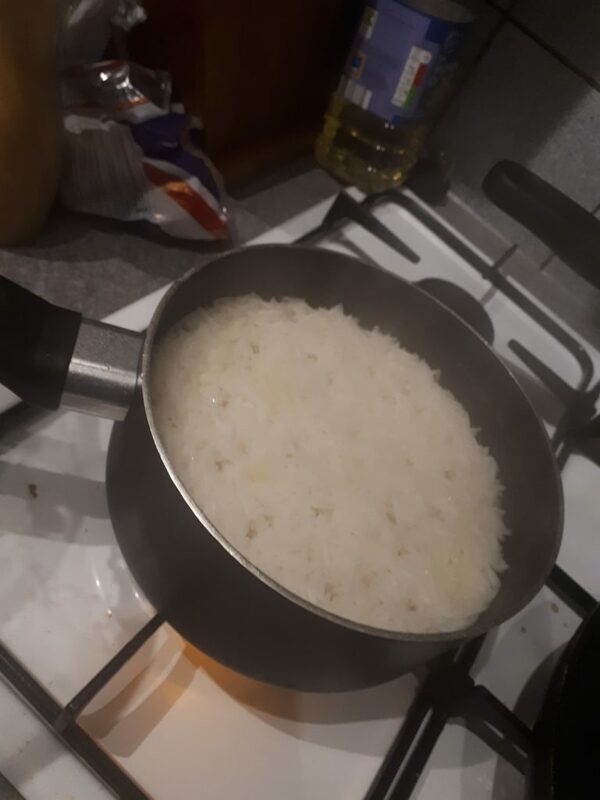 I remember when I first had it in a Brazilian restaurant. The perfect combination of the flavours, the beans and the Farofa has always been something I’ve loved, and a truly original meal. If you’re wondering what Farofa is, it is toasted Cassava Flour, popular in Brazilian cuisine, usually mixed with spices. You can find some in Brazilian or Portuguese food shops in Stockwell. Feijoada, and feijao (Beans – usually black beans and kidney beans), has always been a big part of Portuguese and Brazilian culture. Our stews being infamous for their distinct flavour. Meat is usually a bit part of Feijoada, particularly pork, which is traditionally added to feijao recipes along with other meats. However, as I’ve spent more time living on plant based foods, I’ve noticed that the meat was never necessary. What I noticed that I’ve loved from Feijoada, was not the bacon bits, but the beans; the texture of the stew; the Farofa, stew and rice combo, that was what it was all about. So I combined some spices I’ve been experimenting with (paprika, coriander, cumin, etc). Spices which have always reminded me of the flavour used to make meat “nice”. The more I cook with veg, the more I realised it’s all in the spices. There’s no real “flavour” in pig. This veganised Portuguese Feijoada recipe is flavourful, satisfying and perfect for one who enjoys a good plate of Feijoada – but wants to cut down on the meat. I feel many seem to think that the flavour or feel of Fejoada itself comes from the meat. But I have learnt that spices and a mixture of textures can go a long way. In a non-traditional way, I’ve added Courgette (or Zucchini), to add more texture. Along with Sweet Potato and runner beans to also enhance the flavour and feel of the stew overall. 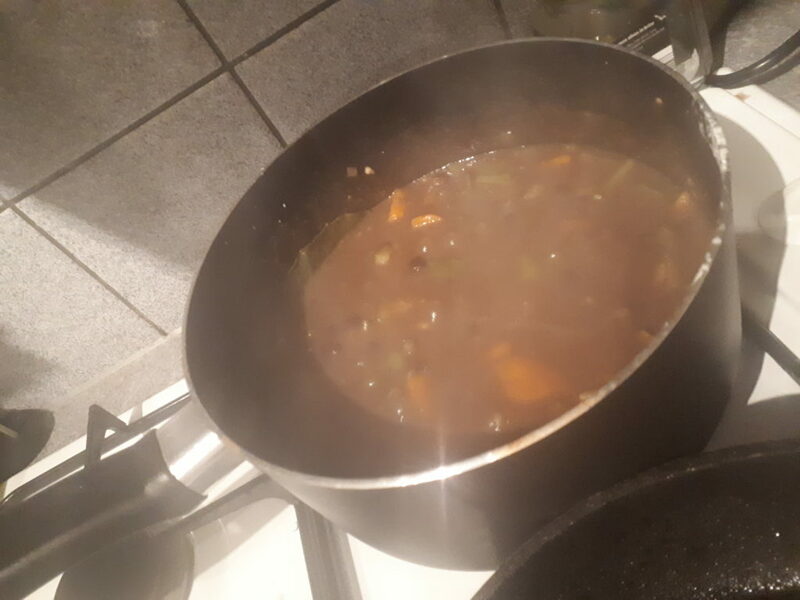 I’ve looked around the net and seen numerous methods of making a vegan Feijoada. Many vegan feijoada recipes contain soy, or smoked tofu (to be more specific), to further capture that bacon-ey flavour, I assume. 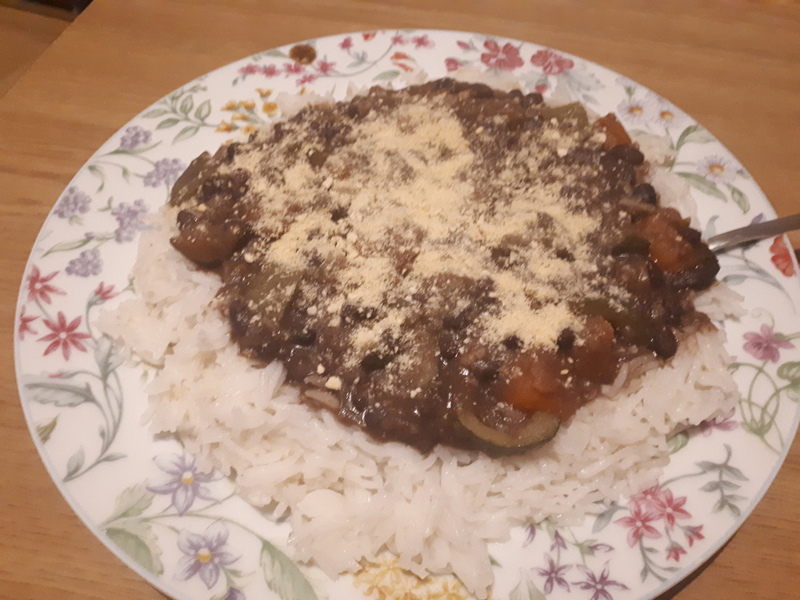 I’m proud to say this veganised feijoada recipe is soy-free, and is very tasty! I’ll also experiment with tofu, soy curls, etc. When I find a perfect version I will also post a version for those who don’t mind consuming soy. 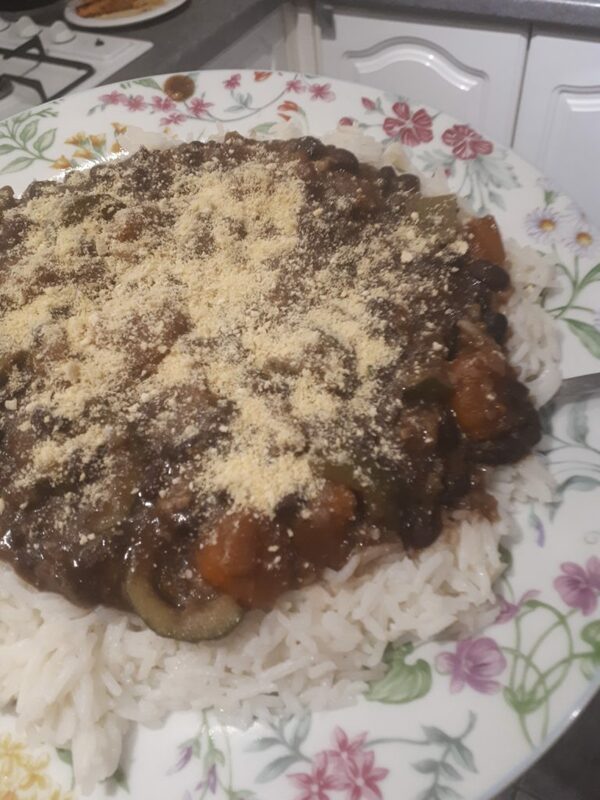 But other than that, hopefully you have fun with this veganised Portuguese black bean stew (Feijao) recipe, enjoy!